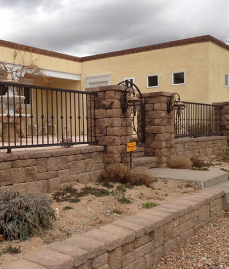 Barnett Aldon has been been providing Albuquerque homes and businesses with the high quality, custom ironwork that not only adds an unsurpassed level of security – but adds a unique element of style, as well. 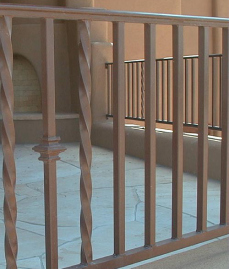 Not only do we offer a complete selection of the highest quality ironworks products and expert, flawless installation, but our customer service is unmatched in the industry. All Products come with a limited lifetime guarantee against defective workmanship and materials on the master-frame for as long as you own your home. Address - 4800 Pan American E. Fwy. N.E. "Love my new security door! Great, friendly, responsible, respectable installers and sales rep. Showed up right on time. Door just as expected with design and color matching very well. Great quality. 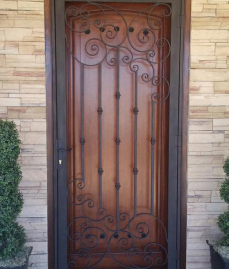 I used Barnett Aldon Ironworks custom doors for my previous house and was so happy with them that I chose them again for my new home. Worth every cent." 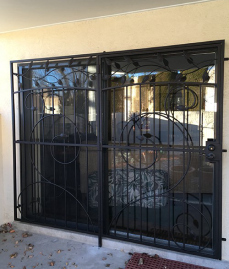 "Installed 8 window grills and did a great job. Both installers were very personable, courteous, and professonal. Made sure to have us use the inside escape release after the demo. Cleaned up everything. This company has been a pleasure to work with." "Don and his team were professional and terrific. 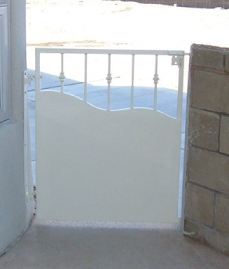 I am extremely happy with the security doors and gates. The men who came to do the installation are excellent ambassadors for your company and I would not hesitate to recommend Barnett Aldon to anyone." "High quality work and service. I was unimpressed with the other ironwork vendors I contacted. We had a relatively small job of placing four half-window security bars. BA was able to give us exactly what we wanted in terms of color and design. They look wonderful and actually enhance the appearance of the house. They are more pricey than the competition, but you definitely get what you pay for." 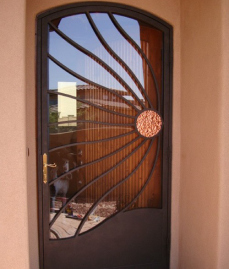 "After using Barnett Aldon Ironworks for 3 projects in the last 9 months (2 custom garden door security doors; a custom insulated front security door; back yard wall topper), I would never even consider using anyone else. 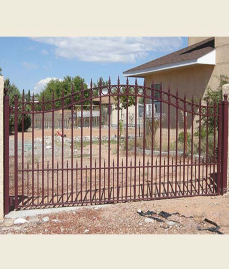 The quality of the custom workmanship is excellent and follow up/service are fast and professional. Don Best and his entire company are the best!" 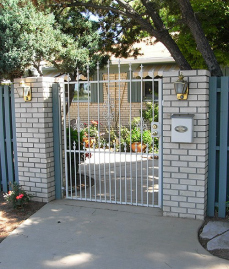 "Barnett Aldon installed 3 security storm doors for us about 4 years ago. 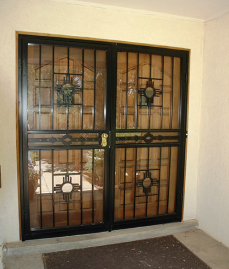 The doors are very well made, attractive, and we have been very satisfied with their performance. Recently we decided to add a fourth storm door and of course used Barnett Aldon. I highly recommend them." 4800 Pan American E. Fwy. Lifetime Guarantee: All Products come with a lifetime guarantee against defective workmanship and materials on the masterframe for as long as you own your home. The masterframe is the steel structure of any product. Additionaly we give you a 3-year guarantee on all lock hardware, hinges, casting, hydraulic closures, weatherstripping, releases, anchors, and miscellaneous hardware in your security system.